Kirsty Young's castaway is chef and broadcaster Heston Blumenthal. 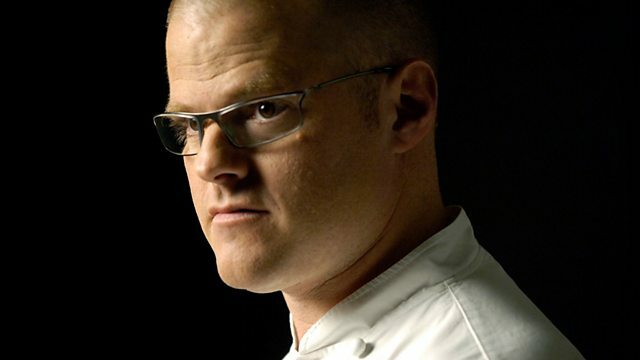 Kirsty Young's castaway this week is the chef Heston Blumenthal. He is one of only three chefs working in Britain today to be awarded three Michelin stars and last year his restaurant, The Fat Duck, was named the best in the world by a panel of 5,000 food experts. His speedy rise to the top of his profession is little short of extraordinary. He has only ever spent a week in a professional kitchen and taught himself classical French cookery. He became fascinated by the science of cooking and has become the Willy Wonka of modern cuisine - dishes he's created include mango and douglas fir puree, salmon poached with liquorice and, most famously, snail porridge. But he acknowledges his success has been largely due too to his wife's support and now wants to change the balance of his life towards spending more time with his young family. The Best of Ennio Morricone. Café Del Mar 11: Various Artists. Hammam Café -the finest Oriental Lounge.